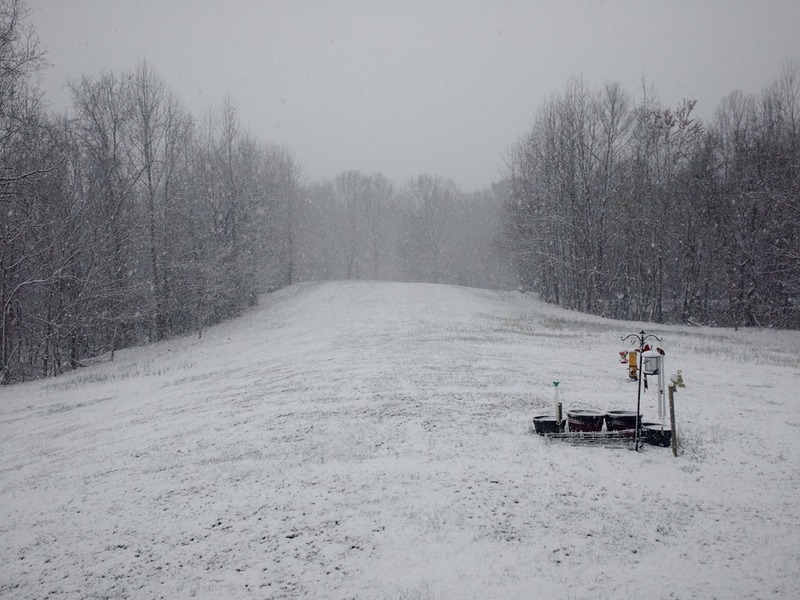 Tomorrow is the first day of Spring, but this is what we had last week, maybe 2 inches of snow. 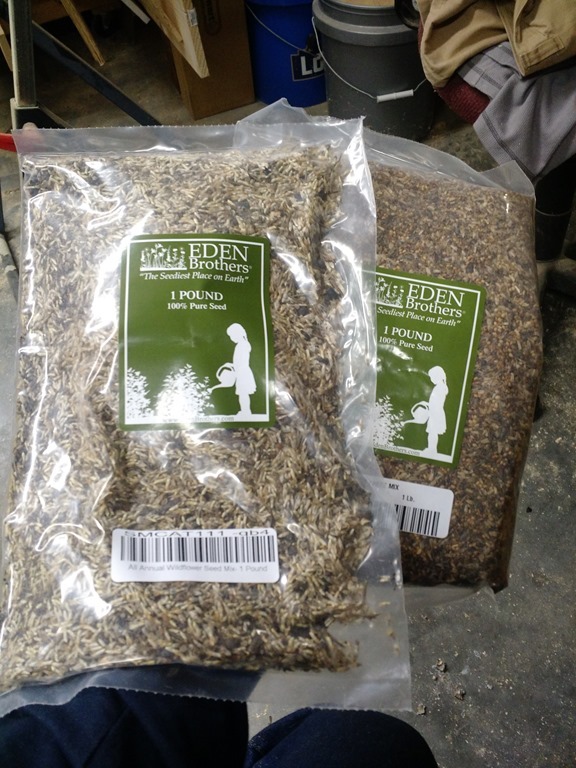 I ordered these large bags of wild flower seeds but I need to wait another month before I plant them. I wanted to have some flowers for my bees to feed on. Speeking of bees, I split one of my hives today. I opened it up and every frame was crawling with bees and there was a LOT of brood, much of it capped and ready to hatch. I did a walk-away split on this hive last year and it worked perfectly, I hope it turns out that well again. 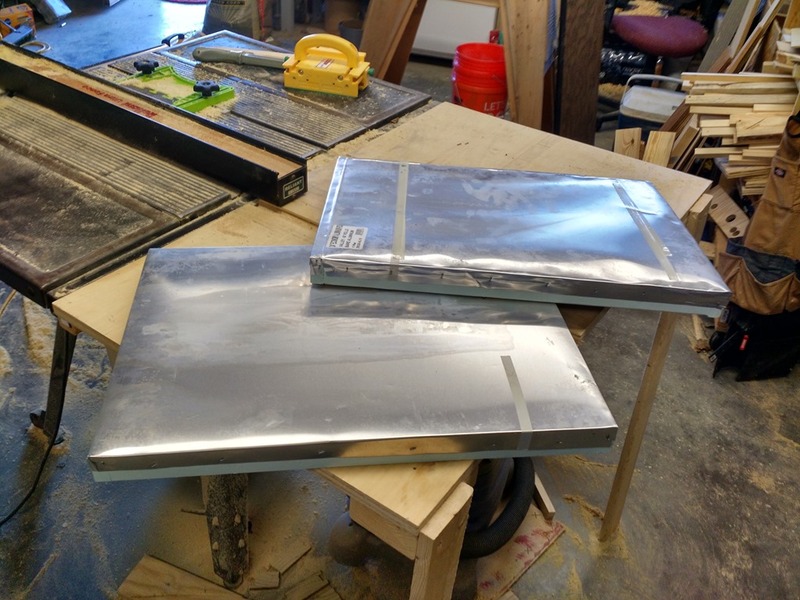 I made 10 telescoping covers for my hives recently and I wanted to put metal on the covers like the ones I buy from Mann Lake. I bought this metal brake from Harbor Freight two years ago so I decided it was time to give it a try. I have to admit my first attempt was an abject failure! The cover on the bottom is my second attempt and it looks just fine. The cover on top is the one I had to re-bend and try a second attempt, that is why it is so wrinkled and ugly. After covering six of the tops, I realize I really didn’t need the metal brake because the aluminum flashing is so thin. The flashing might be twice as thick as a store-bought pie plate, but describing it like that is being generous. 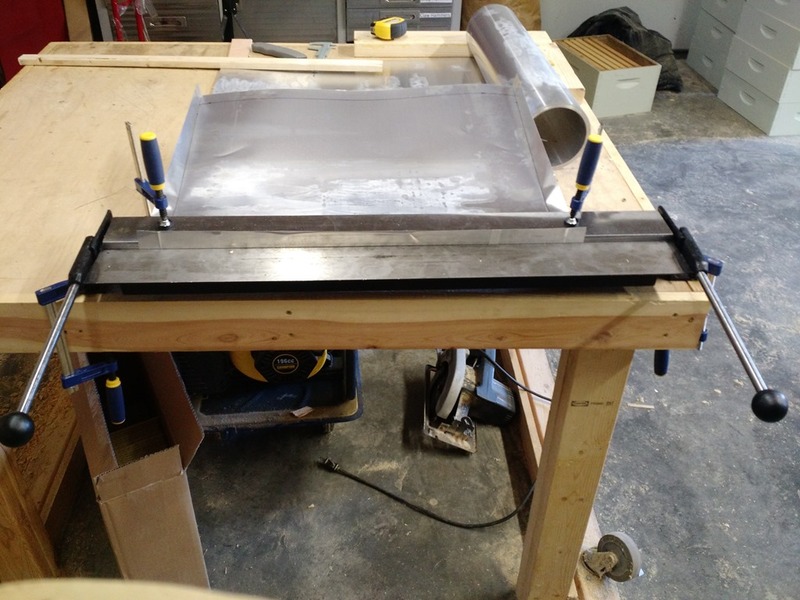 I could have made a metal brake using a couple of 2X4s and it would have worked just fine for this task, but I might need to bend something heavier in the future so I will hold on to it. 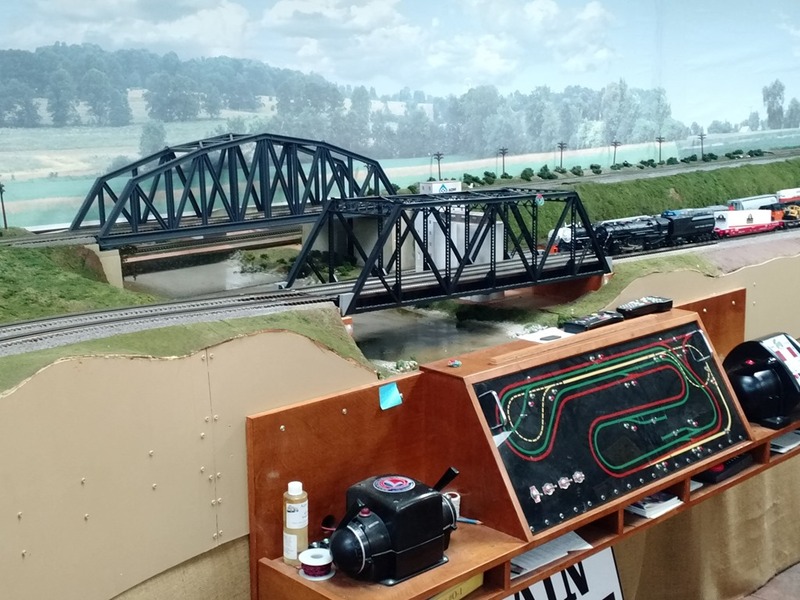 I had a meeting with one of my clients at his office and I checked out his train set. 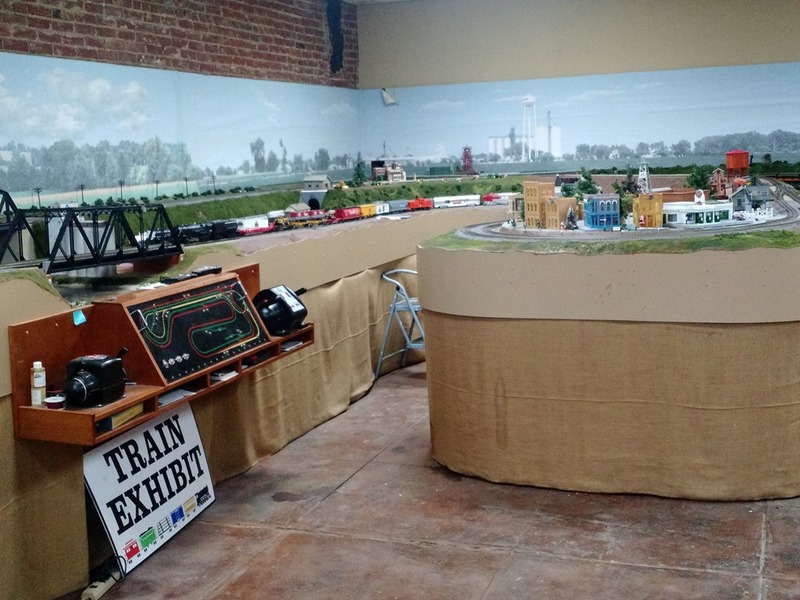 This is not a child’s set, this is a big-boy set! 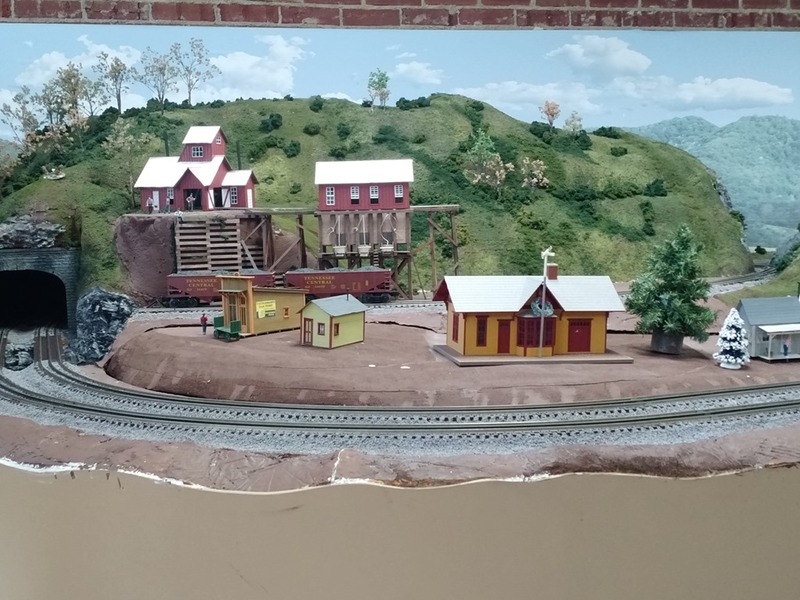 I doubt if I will ever see a more elaborate set than this one! I was looking through my pictures for this post and I realized I haven’t posted a picture of Brandy lately. 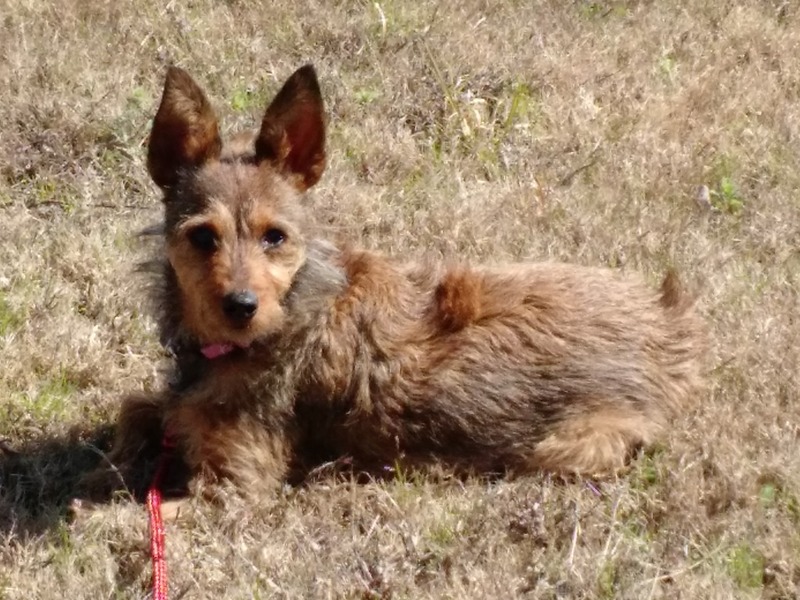 She weighs 9 pounds now and that should be her final, adult size. It is a real ball of laughs watching her play with her toys! 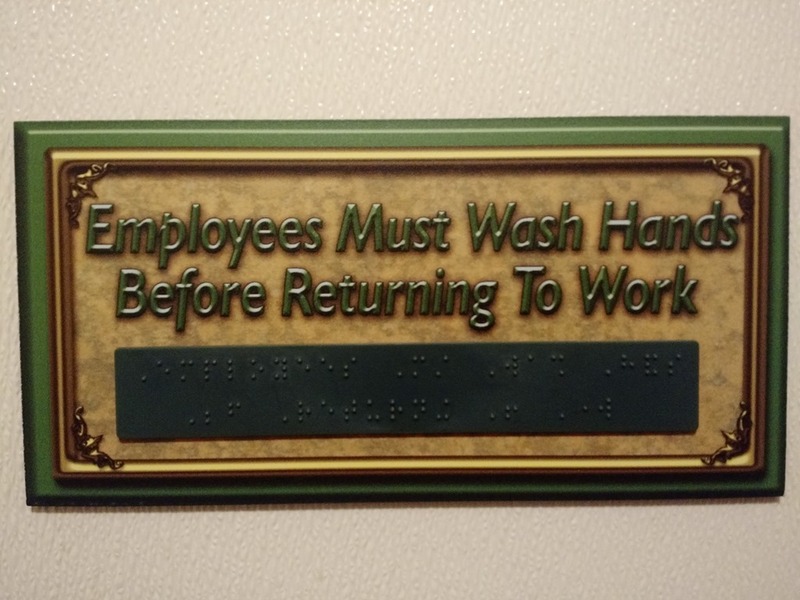 I was in the restroom of Subway recently, and I saw this sign written in braille stating employees must wash hand before returning to work. Then I wondered to myself “how many blind people do they have making sandwiches at this Subway?” Just more unnecessary government regulations intruding on our lives. Keep prepping everyone! I went and got a Flue Shot today. OUCH! 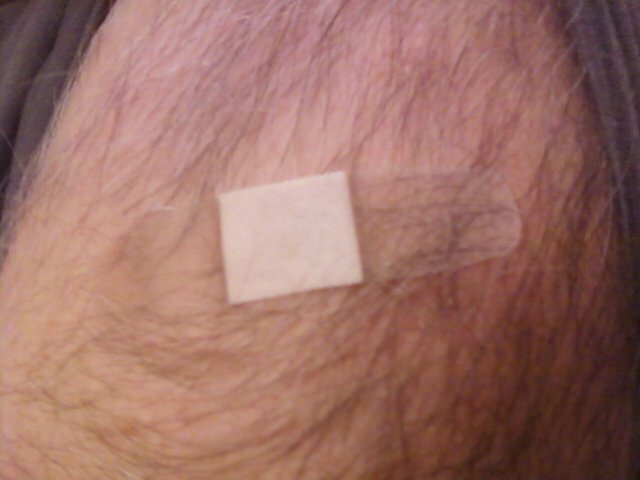 Now I have to rip this band-aid off my hairy arm. DOUBLE OUCH! We have to stay strong and healthy this winter, we don’t want to be weak and sickly. Usually when one of us has to go to the doctor to get a procedure done, we get to pick some where to eat as a special treat. I picked my favorite italian restaurant with unlimited Pasta and Breadsticks, YUM!. UH-OH, NOPE not going to happen. Sweet Thing says Flu shots don’t count. Besides, I’m now on a diet, eating healthier, trying to get back to my lean, mean, fighting machine self as I was in my younger days. So instead I had this, a Subway veggie delight on Honey Oat bread. 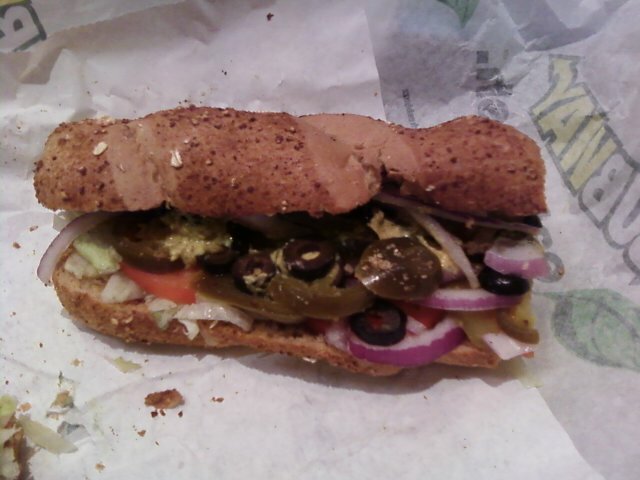 It had Lettuce, tomatoes, pickles, onions, olives, jalapenos, spicy mustard and red vinegar. Pretty tasty. You might ask why I don’t get any meat on this sandwich, I’m glad you asked. When you put all these veggies on the sandwich with the spicy mustard, I can’t taste any of that meat anyway. 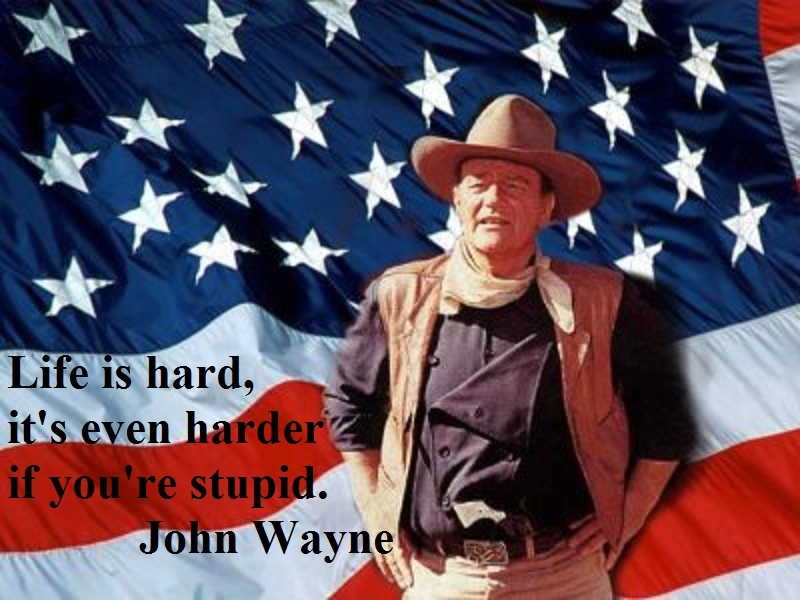 Besides, it is just a bunch of over processed, preservative laden, cholesterol filled, bad for you junk anyway. 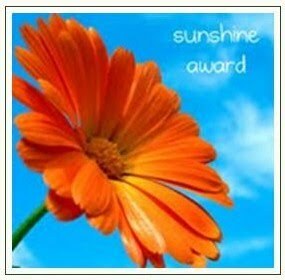 When we get to live on the homestead, we will have lots of home-grown vegetables to eat!